Not sure if you have seen my post on how to make Watermelon Popsicles, if not you should check it out. This summer I will be skipping the grocery aisle and making the kids popsicles at home. 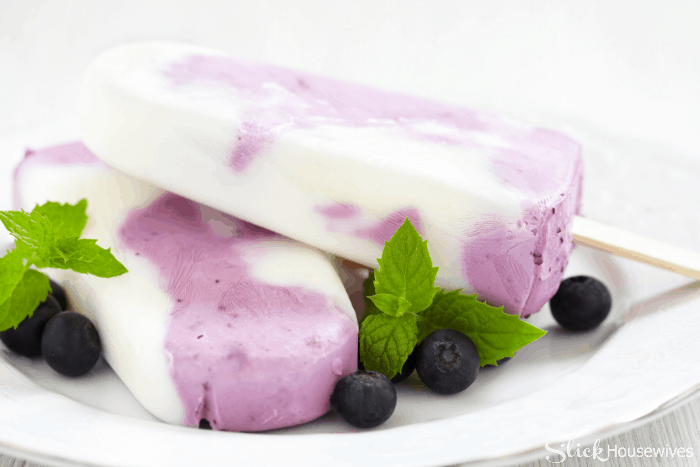 Homemade Popsicle are so easy to make and I don’t feel guilty giving these to my kids! Hope you enjoy this delicious snack as much as we did! Freeze 4 hours or overnight. Thaw for a few minutes before serving so they will be easier to remove from the molds. 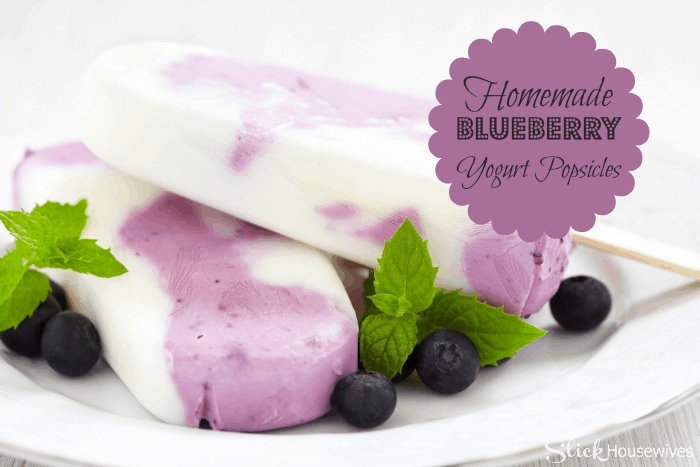 If you liked this Blueberry Yogurt Popsicle Recipe make sure to check out our Watermelon Popsicle Recipe.